Find the shape that completes the pictures! 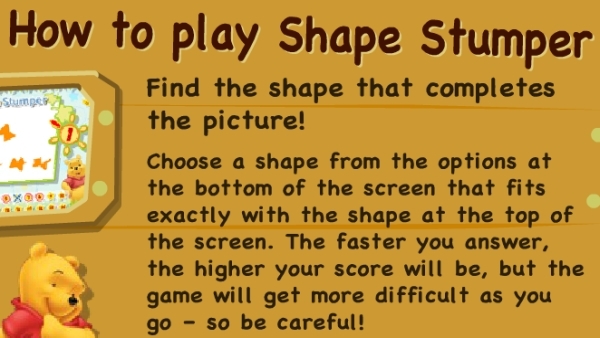 Choose a shape from the options at the bottom of the screen that fits exactly with the shape at the top of the screen. 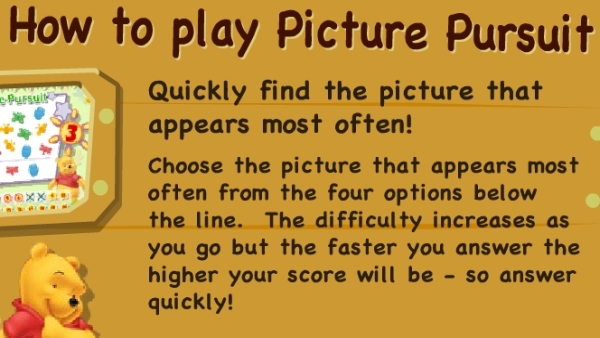 The faster you answer, the higher your score will be, but the game will get more difficult as you go. Choose the number that solves the equation! 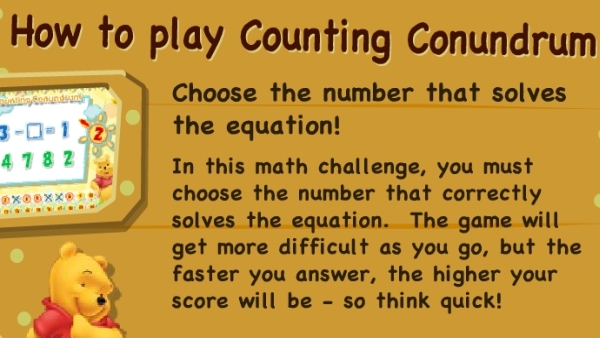 In this math challenge, you must choose the number that correctly solves the equation, The game will get more difficult as you go, but the faster you answer, the higher your score will be, so think quick! Quickly find the picture that appears most often from the four option below the line. The difficulty increases as you go but the faster you answer the higher your score will be. Enjoy and have fun! 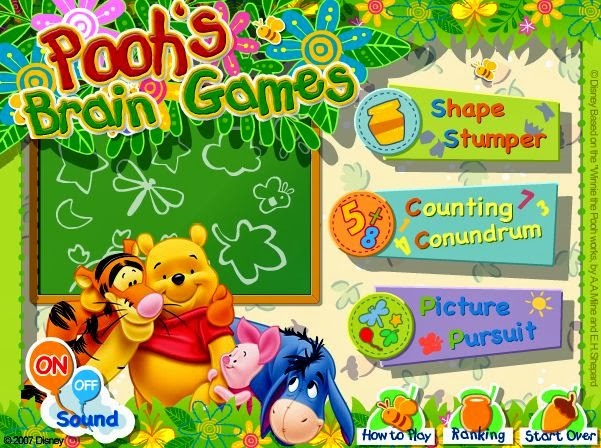 Pooh's Brain games is populated with characters from A.A. Milne's Winnie the Pooh series of short stories. A donkey named Eeyore, Kanga and little Roo, Rabbit, Piglet and Owl. But his best friend is a bear called Winnie the Pooh or Pooh for short. American toy and game manufacturer Parker Brothers introduced A. A. Milne's Winnie-the-Pooh Game in 1933, again with Pooh in his red shirt. In the 1940s, Agnes Brush created the first plush dolls with Pooh in his red shirt. Shepard had drawn Pooh with a shirt as early as the first Winnie-The-Pooh book, which was subsequently colored red in later colored editions.